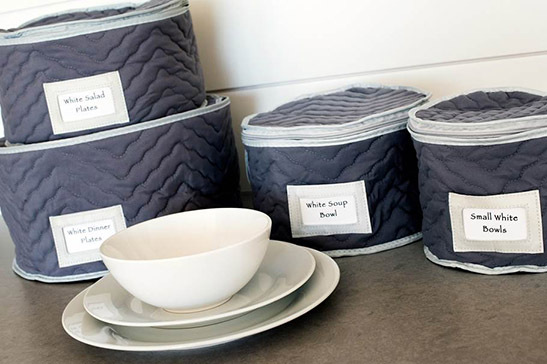 Our Dinnerware Storage Set is a stylish way to organize and protect your delicate dishes. the lightweight, yet durable microfiber material safeguards contents from dust and damage. 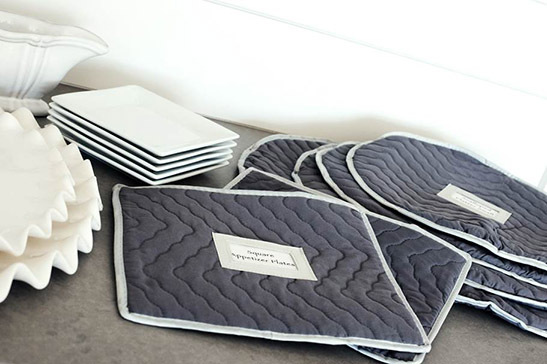 Thick felt dividers are provided for placement between each plate to prevent scratching and chipping. 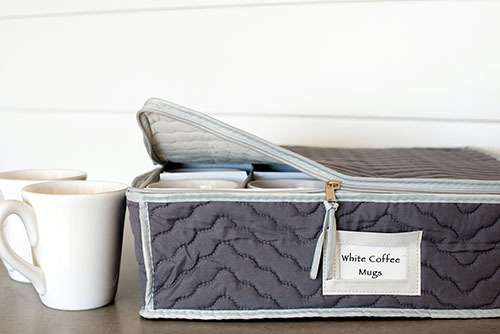 Each case features a label pouch to make organizing and identifying your dishes a breeze. Cases wipe clean easily and feature a self-correcting nylon zipper prodding years of reliable use. Our four piece set includes storage for plates ranging from 7″, 81/2″, 10″ & 12″ diameter, with each case holding a complete service for twelve.